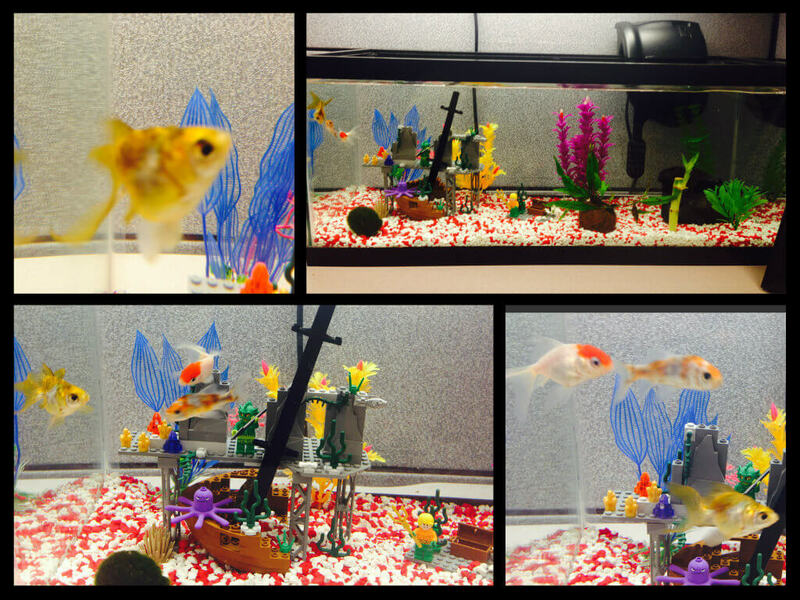 We have some awesome new little friends in the Marketing / Technology area here at the office. We have a fish tank now where we have 4 friends living. Their names are G-Bic, Router, Shin, and Redd. As you can see we took advantage of the area to continue showcasing our fascination of Legos – Aquaman and Merman are hanging with them in the shipwreck. Say hello to our little friends!